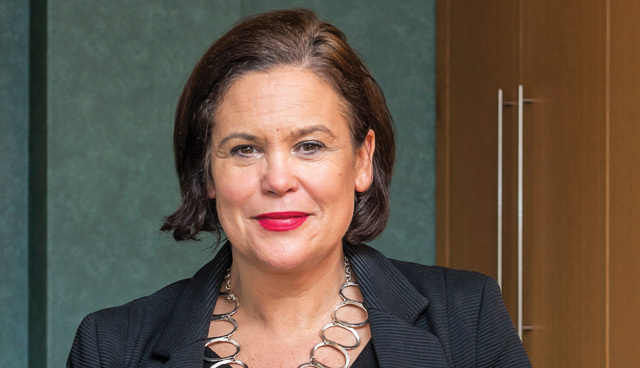 Elected unopposed at a special ard fheis in February, Mary Lou McDonald became the first woman to lead Sinn Féin in almost 70 years and only the second in the party’s history. 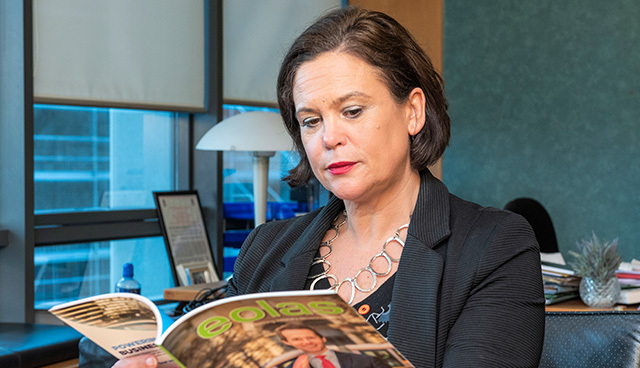 Ciarán Galway sits down with the new Uachtarán Shinn Féin to discuss her priorities and gauge a sense of direction for the party under her watch. 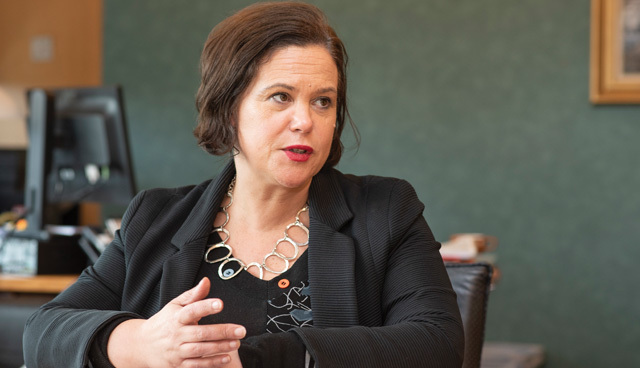 In Sinn Féin, McDonald, whose family were anti-Treaty republicans in the Civil War context, found “the perfect blend of politics”, which she indicates has essentially two components. The first is social justice and diversity, while the other is an unambiguous anti-partitionism. Indicating that her first preference in such scenarios is that they be resolved one-to-one and in an amicable and adult fashion, she adds: “Where that doesn’t prove possible, we have rules, regulations and very robust procedures which are applied. Less than three months ago, McDonald inherited the reins which her predecessor, Gerry Adams, had retained for almost 35 years. Alluding to the challenges of assuming leadership as “quite considerable”, McDonald pays tribute to Adams’ legacy and insists: “They are big shoes but I am not trying to fill them. I am very conscious that I am a different person from a different generation and while we share some of the same challenges, I also face new challenges in leadership. I want to find my own tempo and way of moving things forward. McDonald rejects the assertion that Sinn Féin has ever been Eurosceptic and as such wears its opposition to Brexit readily. “We are Eurocritical – and I’m not dancing on the head of a pin here – the distinction is important. I’m passionately a European. This is an ancient European land. We are Europeans. 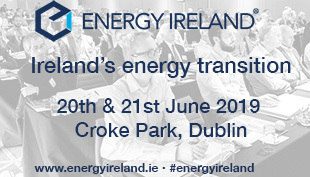 The issue that we have to question and critically analyse is the direction of travel of the European project and that’s where we have our criticisms. “A system of laws and rules which give primacy to the market and competition over everything else is wrong. The balance is entirely wrong. We’re for a more social Europe. But we support things like cooperation on environmental issues, climate change and so many areas where it is self-evidently the case that we need to act collectively as Europeans. More generally, McDonald wants her leadership to be defined by the creation of shared prosperity. “That is about investment, innovation and generating wealth and resources. Then it’s about investing those resources wisely. It’s about sharing prosperity fairly. It’s about giving everyone a stake in society. I think that conceptually, this is the direction in which we need to travel, right across the island,” she insists. On the extent to which reunification is a priority, McDonald maintains: “That depends on who you talk to and when you talk to them. I think Brexit has raised the issue of the border out of necessity. I mean, I’ll be honest with you, when I heard the leader of Fine Gael speaking about Irish reunification, I looked to the Dublin skyline to see if there were little pigs flying. You have the Tánaiste saying he believes that he will see it in his lifetime and I think he’s right. Who would have thought? “Anyone who thinks that this is something belonging to previous generations, and the ‘fourth green field’ romanticism of the past, is wrong. In fact, younger people are very animated, not because they are caught up in the past, but because they are fixed on the future and can see the potential. “You can’t wait for court procedures because that is very time-consuming. So, 12-weeks is a way of accommodating all of that and also accommodating the reality of the importation, on a huge scale, of abortion pills and the fact that girls and women are taking them with zero medical supervision. So, I’m not trying to ride two horses on anything at all. My sincere wish is that we get this right for women. We need the Eighth Amendment out of the Constitution and then we need a legislative framework that works and recognises those exceptional circumstances – such fatal foetal abnormality – as things that happen and we need a law that responds to it. With the economy having dramatically steadied and the anti-austerity image cultivated by her party beginning to outlive its usefulness, McDonald’s emphasis is on the concept of ‘shared prosperity’. “If you look at the statistics in terms of the employment levels, yes there is a marked improvement and I welcome that. But when you unpack the figures, what you discover is a lot of precarious employment, zero-hour contracts and very low pay – now collectively referred to as the gig economy – and it’s not just in hospitality or retail, it’s much broader than that,” she asserts. “In wider society there are rents that people can’t meet – it’s crazy in this city. We now have a whole generation for which the prospect of owning their own home is considered a bit of a pipedream. The idea of a stable job and a pension are things that the welfare state generation won and had banked for us and now they are gone. We must get back to first principles and consider how we define prosperity. If it is purely statistical, and if it is purely based on healthy looking ratios then I think we are in trouble because some of this can be very superficial. The trick for testing how well your economy is really doing is to go down a couple of layers, and it’s there that we’re still in trouble.